RPO – Baggage Renumbered F&M #4 1903? purchased 1912 from WW&F #10, Sold to Edaville 1941. Then Portland and onto Wiscasset. Combine Passenger-Smoker Became Bridgton Diner. Then Camp, then to Edaville. 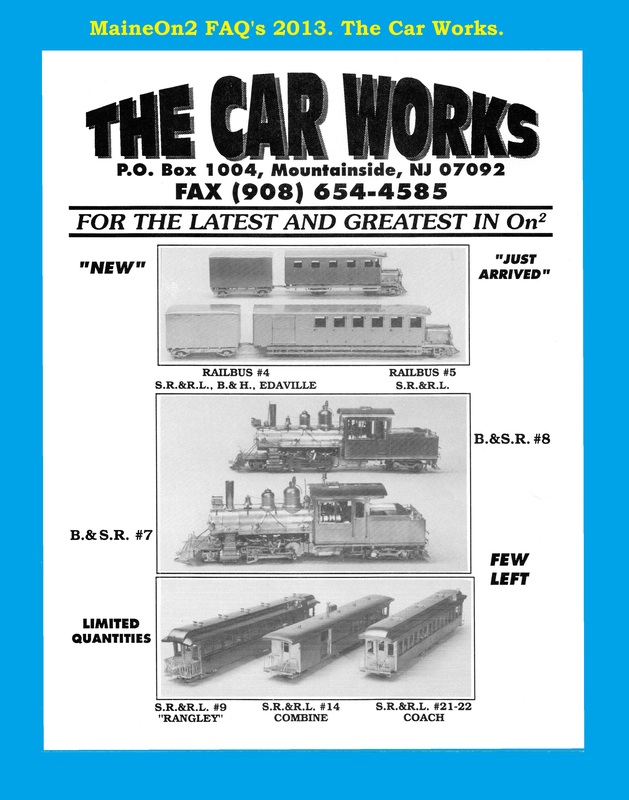 All B&SR passenger cars were transferred to the B&HR and kept the same numbers, but may not have been re-lettered. This view shows the drive arrangements of the #4 bus which were common with the larger #5. 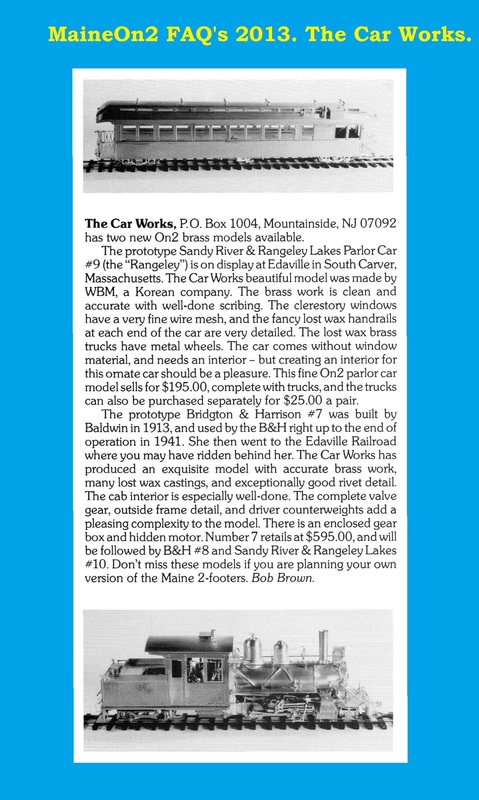 Note that the prototype of this model also served on the Bridgton and Harrison line as their #3 after it was sold by the SR&RL receiver in 1935. It then made the move to Edaville where it had a varied career and was eventually sold into private hands in the early 1990’s when the original Edaville dissolved. It has been moved around by truck starring in a Phillips “Old Home Days” celebration and various guest performances around the preserved two foot lines in Maine. 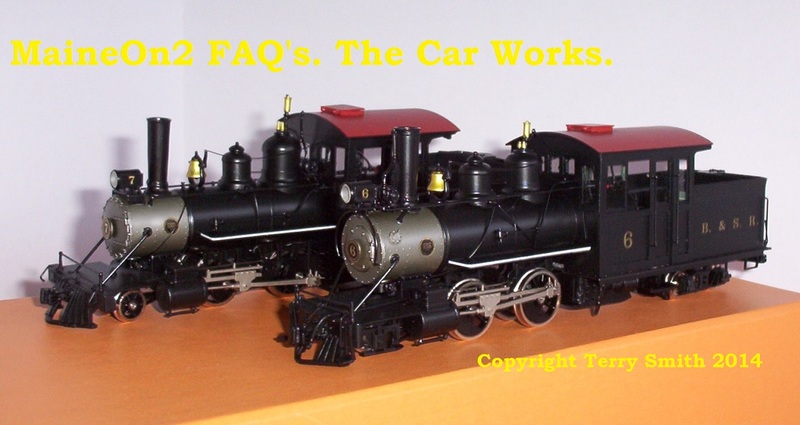 John Pearson’s factory painted Car Works SR&RL rail bus #4 and trailer, shown on Bob Harper’s Franklin module.